100% polyester woven 300d oxford with PU coating. 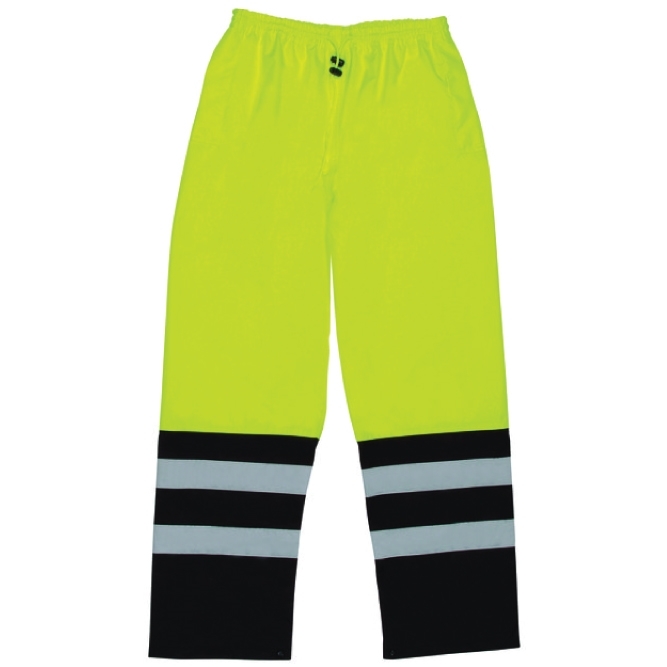 Elastic waist with drawstring, pocket slits with rain guard, snap ankle closure. Class E (for Ensemble) when worn without other ANSI 107 compliant garments; class 3 when worn with a class 2 or class 3 upper garment.